Helen Kendal's woes begin when she receives a phone call from her vanished uncle Franklin, long presumed dead, who urges her to make contact with criminal defense attorney Perry Mason; soon after, she finds herself the main suspect in the murder of an unfamiliar man. Her kitten has just survived a poisoning attempt, as has her aunt Matilda, the woman who always maintained that Franklin was alive in spite of his disappearance. Lucky that Helen took her uncle's advice and contacted Perry Mason--he immediately takes her as a client. But while it's clear that all the occurrences are connected, and that their connection will prove her innocence, the links in the case are too obscure to be recognized even by the attorney's brilliantly deductive mind. 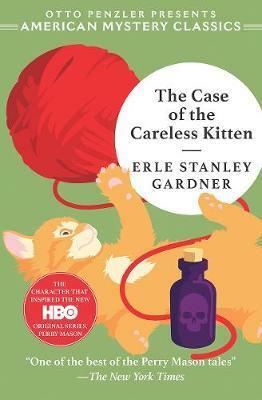 Risking disbarment for his unorthodox methods, he endeavors to outwit the police and solve the puzzle himself, enlisting the help of his secretary Della Street, his private eye Paul Drake, and the unlikely but invaluable aid of a careless but very clever kitten in the process.